Beginning this fall with iOS 12, Apple will allow navigation apps to work with CarPlay, including both Google Maps and Waze. The change was announced at WWDC, and — for consumers — could be one of the most immediately useful announcements made during the entire keynote. Since CarPlay was first introduced a few years ago, Apple has prevented all navigation apps not named Apple Maps from working with CarPlay. This means that anyone who wanted to use an alternative app like Google Maps, Waze, or TomTom was forced to use a phone mount instead of the otherwise very useful CarPlay. Apple didn't actually say when (or even if) Google Maps and Waze would be available with CarPlay, but MacRumors has reached out to Google and will update if we hear back. This is huge. I’m Actually surprised Apple is making this change. And now it allows for more diversity like Google Maps, which has its advantages over Apple Maps. Anxious to hear more about this. My new VW has CarPlay. Used it on the way home from the dealer and have not tried it again since then. Third party apps would definitely be a reason to revisit CarPlay. I had two gripes with CarPlay. Being unable to search for music with Spotify and not being able to use Google Maps. Now one of them is coming. This is the biggest news from WWDC for me :D I use CarPlay almost daily. This is good that they're allowing competition but I really wish they'd improve Apple maps. With Apple allowing third party navigation apps into CarPlay, not mentioning Maps a single time during today’s presentation or in iOS 12 new features ( https://www.apple.com/ios/ios-12-preview/features/ ), I am also wondering what the future of Apple Maps might be like. I hope they are not giving up on it. Waze/Google will need to update their apps before it’ll do anything on CarPlay. Finally! Now maybe I'll think about using CarPlay again in the car I bought last year. Google maps is the deal-maker. Doesn't this require CarPlay 2? Which I assume means the car manufacturers will have to push out an upgrade. Wonder how long that will take? 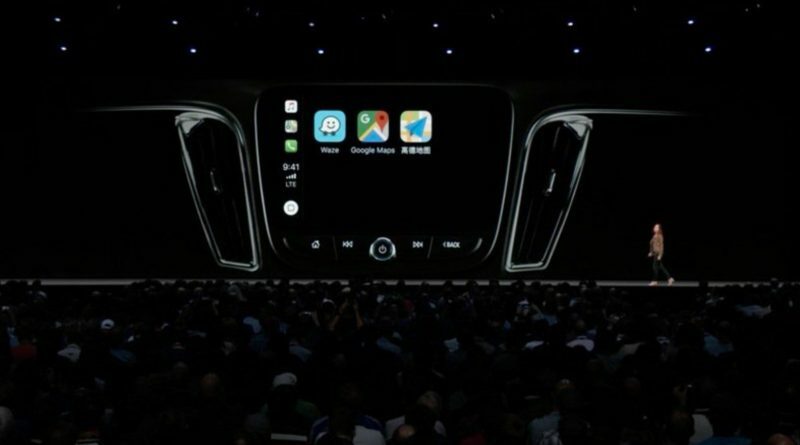 Apple revealed at its WWDC keynote today that third-party navigation apps are coming to its CarPlay dashboard system as part of iOS 12. Nav apps coming to CarPlay that have already been confirmed include Google Maps and Waze. Finally, hope this means TomTom too.